The very word, "newsletter", implies a certain level of readability. The words news and letter make this a rather obvious conclusion. News that isn't communicated clearly is essentially pointless at best and even damaging at its worst. Add to this the fact that letters are by definition a form of communication and it is evident that newsletters need to be easy to read. If this seems to be a rather elementary deduction - you'd be right. Regardless of that fact, we see poorly written and difficult to read material seemingly everywhere. That is quite shocking considering the impact and importance that correspondence like newsletters carries. Virtually anytime a business communicates with the public or its customers, it is putting its brand, company message and image on the line. Before we can get too far into the importance of crafting an easy-to-read newsletter it is essential to understand what good readability entails. We all know what a poorly written newsletter looks like and many of us have struggled to get through a difficult read. Newsletters that are difficult to read have more than a few typos and basic grammatical errors. In fact, one or two incorrectly spelt words alone won't make newsletters to difficult read. Sure, it won't reflect well on a company but it is forgivable. What isn't forgivable is a newsletter that frustrates or alienates the reader. A lack of cohesive thoughts or those one or two paragraphs that require multiple reads will often result in a newsletter that never gets read. The same result will occur with newsletters that use a verbiage foreign to your audience or content that doesn't relate to them. Quick - Emails generally aren't written with a focus on how long it will take to read the letter, that is the result of the newsletter being written in simple and plain language. In the high-speed high-tech world today, time has become a valuable commodity. Keeping your newsletter simple makes it easier to read, which means it can also be read much quicker and be more easily understood. Content - The other part of that email or newsletter being easily understood will depend on the content. We can basically talk to anyone about anything but how we express that message will depend on who we are talking to. Talking to mothers about oil changes will sound different compared to discussing that same topic with mechanics. These are some of the primary aspects that define the readability of a newsletter. Companies should also be aware that emails and newsletters have an impact that goes far beyond their current reader base. 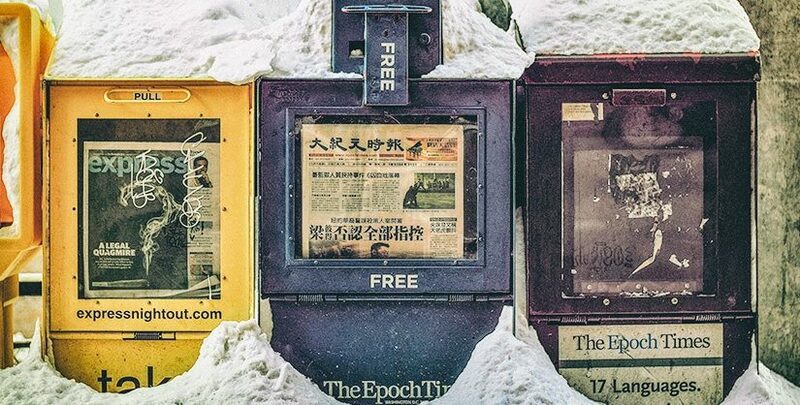 "Newsletters feel personal because they arrive in users’ inboxes, and users have an ongoing relationship with them..."
That personal connection, the useful information and good readability found in successful newsletters is undoubtedly a powerful tool. Well designed and well-written newsletters will strengthen relationships with customers, create more interest and promote sales (without being promotional). What often gets overlooked in this picture, however, is the considerable impact this kind of correspondence can have on the companies crafting these letters. "...email marketing is the king of the marketing kingdom with a 4400% ROI and $44 for every $1 spent." "Email marketing technology is used by 82% of B2B and B2C companies." - (stats provided by Ascend2). "90% of email gets delivered to the intended recipient’s inbox, whereas only 2% of your Facebook fans see your posts in their News Feed." - (stats provided by Forrester Research). What isn't shown in those statistics is the other side of the coin, for as effective as email is it can also be equally as harmful. Despite the highly competitive market spurred by technology, companies have found that technology also affords success and growth at unprecedented rates. The ability to enlarge the customer base, reach a worldwide audience and compete are all the results of the technological age. With that same principle in play, the potential for a company to have its brand, image or reputation stained has never been a greater threat too. In the same way companies can reach and influence through effective newsletters, they can also suffer great consequences from newsletters that convey bad information, that are poorly written or are difficult to read. Newsletters (both traditional and email) are tied directly to the company sending them. The impact, either negative or positive, will then have a corresponding ripple effect. Creating professional, clear and readable newsletters has an impact on the customers, the company, prospective customers and may ultimately determine the direction or success of your business. Why do the tools offered by Readable.io matter? Because your newsletter matters - to everyone.